Capital of Culture” to be awarded in 2016. The city, like many in Spain, is notable for a mixture of Christian and Moorish cultural elements, including outstanding examples of architecture and art. The Pilar Basilica (Basilica de Nuestra Senora de Pilar) is a beautiful church painted by Spanish greats Goya and Bayaeu. Aljaferia is a brilliant Moorish palace, and the current seat of the Aragonese parliament. Be sure not to miss the Museum of Fine Arts, which houses works by El Greco, Goya, Renoir, Rembrandt, and many more legends. Spanish food is very different depending on the region, and Zaragoza is no different. The city’s inland location skews its offerings away from seafood and toward hearty, savory meat dishes. Tapas are the predominant form of sustenance, and the best options can be found in the Casco Viejo (old city) neighborhood. Be sure to try various types of Chorizo sausages and quality Spanish wines. 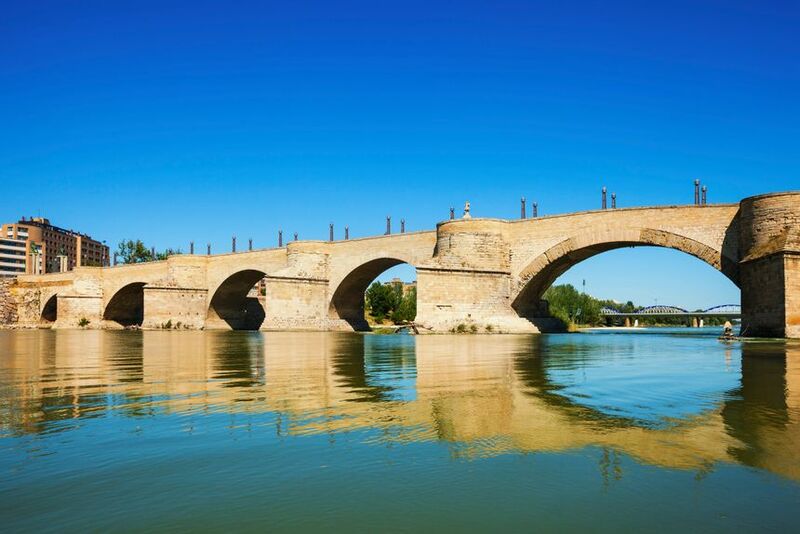 Often overlooked in favor of better-known cities, Zaragoza is under-appreciated, and comes highly recommended. Interesting city on the banks of Ebro River, lots of Mudéjar-style landmarks, combining Islamic and Gothic architecture.